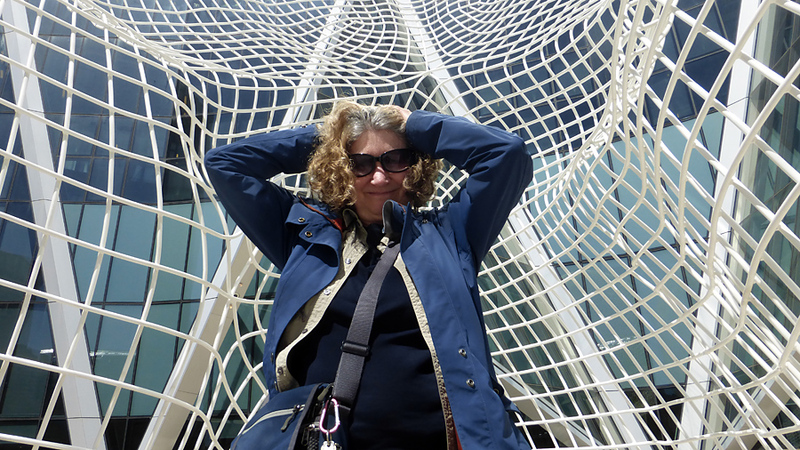 On Wednesday, Rolf and I visited Calgary’s tallest building. 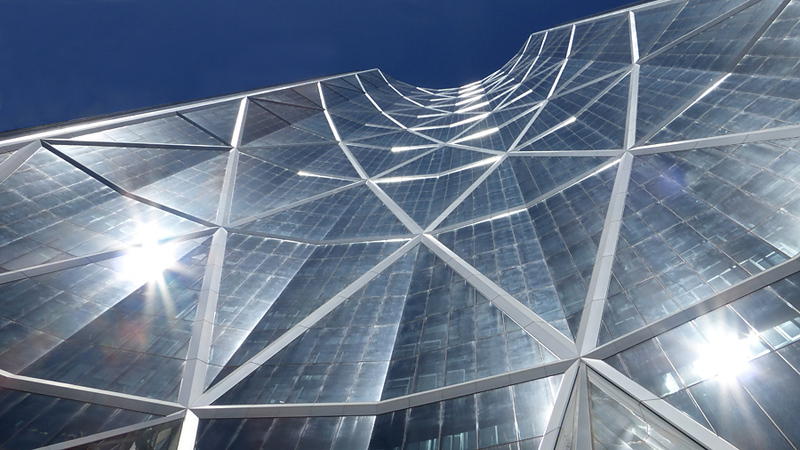 “The Bow” is the headquarters for Encana Corporation and Cenovus Energy. Our D-I-L Liz works for Cenovus so she got us Visitor Passes and showed us around. 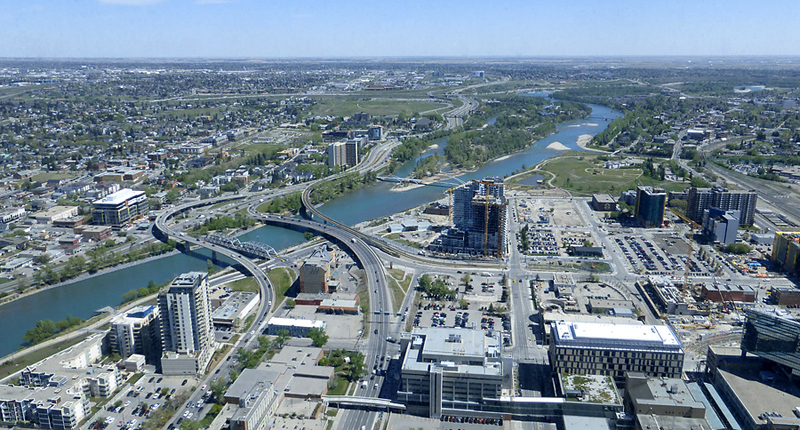 The building is named for the Bow River which runs through Calgary. 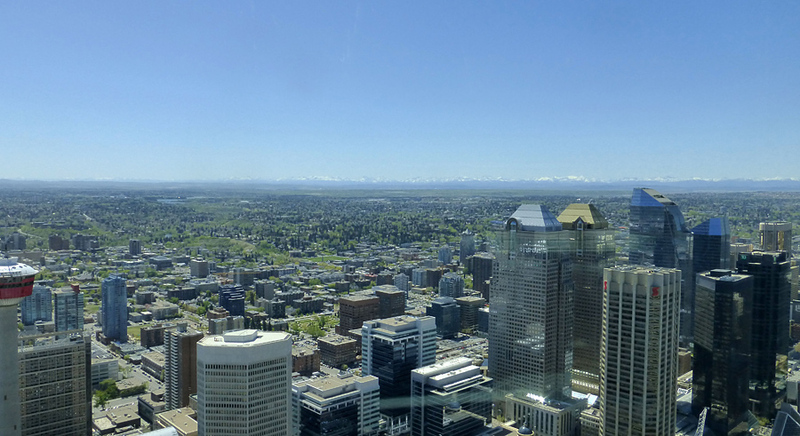 Not only is the Bow the tallest building in Calgary at 237 metres ( about 779 feet), it’s the second tallest building in Canada. There are much taller buildings in the world. At the moment, the tallest is Burj Khalifa in Dubai, at 828 metres ( about 2,717 feet). This is the building that Tom Cruise scaled in Ghost Protocol. 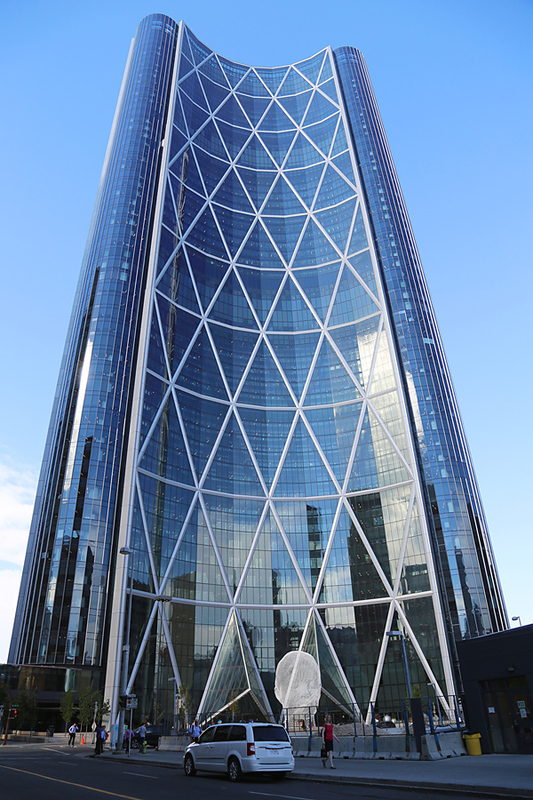 But the Bow is the tallest building I have ever been inside. 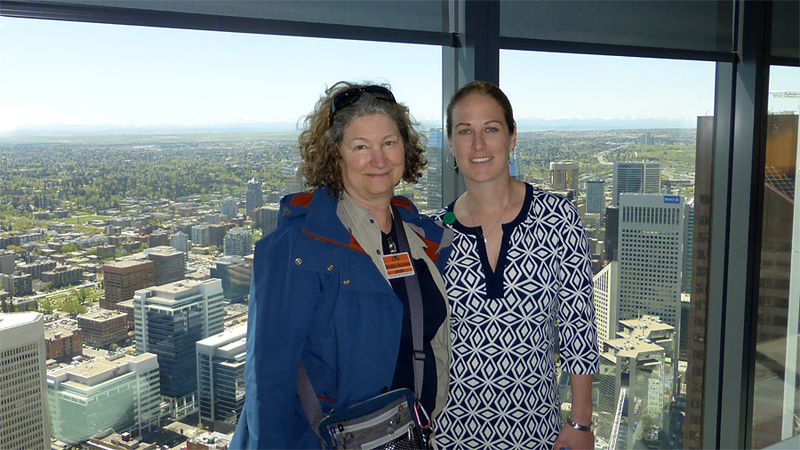 Three weeks ago, I was on the observation deck of the Calgary Tower with Debra Dixon. You see “The Bow” behind us here. 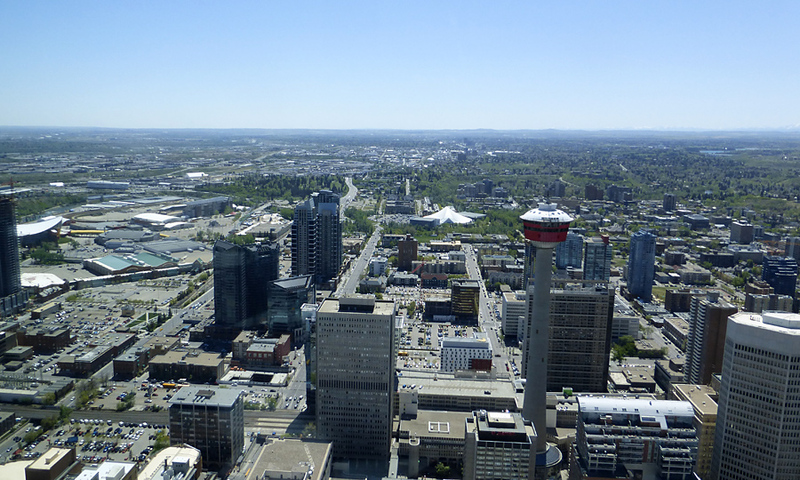 The first 24 floors are for Cenovus and above that are the offices for Encana. There are also three indoor gardens – each six storeys high. 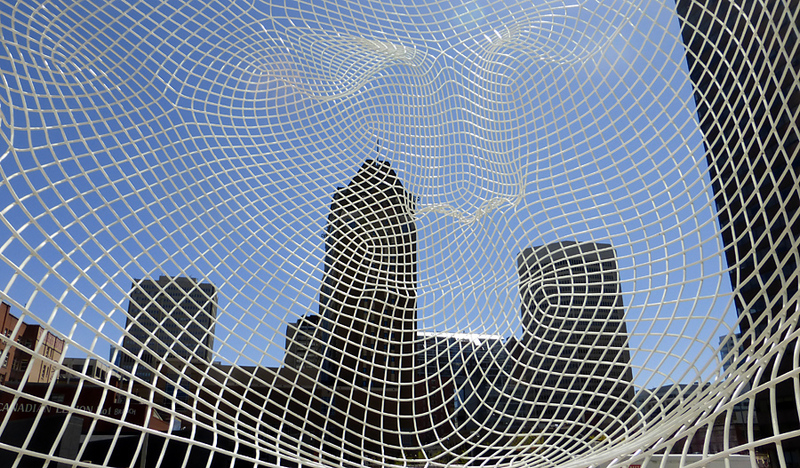 Cenovus has one at the 24th level, Encana has one at the 42nd level and there is a shared garden at level 54. The building was completed in 2012. Its position and shape give it the maximum amount of sunshine. 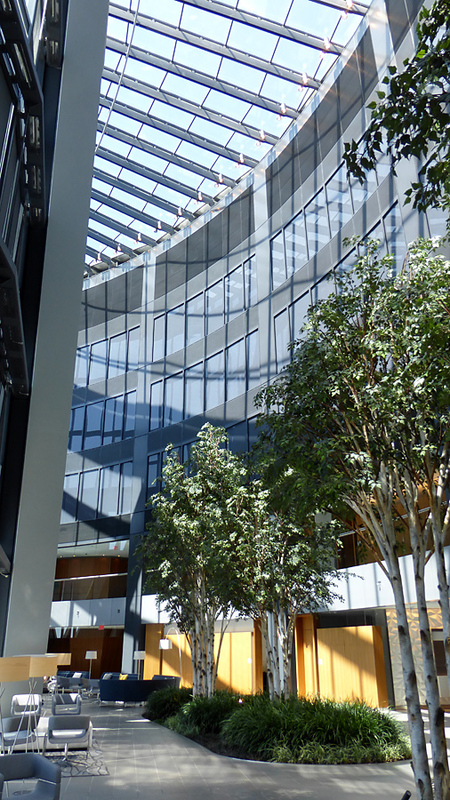 Solar heat is collected in the atrium and redistributed, making the building more energy efficient. The crescent shape of the building deflects the prevailing winds, which allows for a lighter structure. 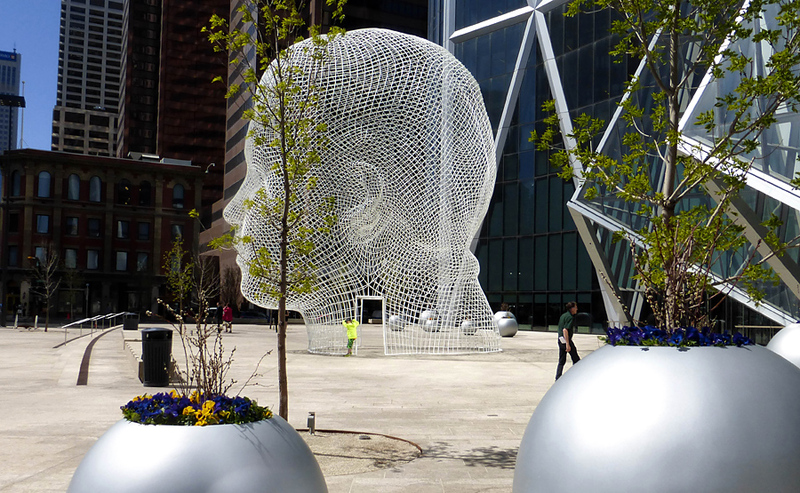 In front of the building is a 12 metre (39 foot) sculpture officially called “Wonderland” but everyone refers to it as The Head. A full-time security guard is on duty to keep people from climbing The Head, but it’s okay to go inside it. Have you been up high lately? How was your view?